When your future is on the line, a proven attorney can make all the difference. We aggressively represent clients in even the most complex state and federal cases. Our dedicated team proudly fights for justice on behalf of those who need it most. Do not face criminal charges alone. You could lose your liberty to prison or lengthy probation. You could lose everything you own to forfeitures or expensive fines. You could lose your good name and your ability to work and live freely in your neighborhood. You may also come to the court seeking justice after an accident if you have been injured by the negligent actions of others. Your opponent will likely be a big insurance company that will do anything to keep you from getting the justice you deserve. With so much to lose, you want an experienced Pennsylvania trial lawyer representing you who has no fear in the courtroom. You need a lawyer who relishes taking on the big, complicated cases with major implications for those charged or those seeking justice. You need an aggressive and prepared attorney who challenges the prosecution's evidence and does not back down from big insurance companies. 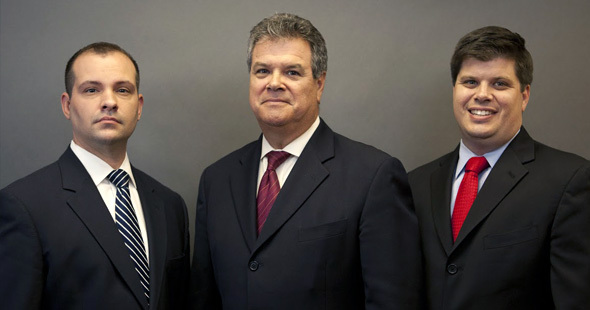 The attorneys at Alva & Shuttleworth, LLC focus exclusively on criminal defense and personal injury cases. Our law firm is based in Philadelphia, PA. We serve clients in the greater Philadelphia metropolitan area, including Chester County, Delaware County, Bucks County and Montgomery County. We also represent clients throughout the State of Pennsylvania and New Jersey. Our insight into federal matters is sought by individuals facing serious charges throughout the United States. Call (215) 665-1695 to discuss your case today. The dedicated attorneys in Philadelphia's law firm of Alva & Shuttleworth, LLC fight zealously for the rights of their clients. Hiring an attorney from Alva & Shuttleworth, LLC means having a tireless advocate who will challenge the prosecution every step of the way. We investigate the case to determine whether evidence should be suppressed or excluded by the court. We work hard to convince the prosecutor to reduce the charges or dismiss the charges outright. When the best resolution cannot be negotiated before trial, our attorneys are prepared to take the case to a jury trial to fight for the "not guilty" verdict. Many of our clients have no prior record and never imagined being charged with a crime. Certain types of professionals can face the career ending consequences after a criminal accusation, even if the charges are ultimately dropped. We represent teachers and certified educators, nurses and health care professionals, lawyers and law school students, law enforcement officers and other employees of those agencies, and members of the military. Even college students and graduate students face serious collateral consequences after a criminal accusation. Find out how we take a full service approach to protecting our clients at every stage of the case. In any criminal case, the prosecution has the burden to prove every element of their case beyond a reasonable doubt. The defense is not required to prove anything, unless making an affirmative defense, such as self-defense or insanity. Most importantly, you are presumed to be innocent unless and until the prosecutor is able to prove the case at trial. Despite these rights, your defense attorney must thoroughly investigate the case and present every defense during pre-trial motions and at trial. If the case goes to trial, the defense must show holes in the prosecutor's case and explain how those problems result in reasonable doubt as to the elements of the offense. 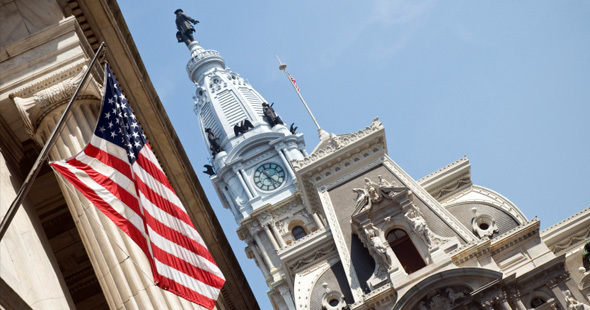 We represent clients throughout the courthouses in Philadelphia, including felony-level criminal cases in the Philadelphia County Court of Common Pleas (often called the "First Judicial District") or misdemeanor-level cases in the Municipal Courts. Additionally, our attorneys are experienced in fighting cases in federal court, including the federal United States District Court for the Eastern District of Pennsylvania in the James A. Byrne United States Courthouse. At Alva & Shuttleworth, LLC, we are aggressive in finding the weaknesses in the prosecutor's case, because we understand the difference it can make. For instance, if you have been charged with a violent crime, intent is a critical part of the case that prosecutors must prove. Vigorous cross-examination of prosecutor's witnesses by your criminal lawyer in Philadelphia can show that the intent is not there, and charges could be reduced to manslaughter or dropped entirely. We will also challenge the procedures used to collect the evidence to have critical evidence for the prosecution get tossed out. Police must follow strict rules when they invade areas to search for evidence where you have a reasonable expectation of privacy. If they were supposed to get a warrant and failed to do so, the evidence may be determined inadmissible. If facing marijuana charges, for example, and all the marijuana involved is not allowed as evidence, the prosecution may be forced to drop the charges. Most criminal matters are handled by the state. However, some crimes are investigated and prosecuted by the federal government. Common charges include white collar crimes, fraud, smuggling, human trafficking and many different types of drug charges. If you are facing federal charges, you will be tried in the federal court system and can potentially face federal prison. The federal court system has different rules and different procedures, and an attorney must be licensed to represent a person in federal court. Our defense lawyers at Alva & Shuttleworth, LLC are not only licensed in federal court, we have a record of victory on federal charges, including high-profile cases, ranging from drug trafficking to smuggling. We apply the same spirit of aggressive and zealous advocacy to civil courts, where we fight for justice for those who have been injured by the bad deeds of others. If you have been injured by another person's negligence, you deserve to be compensated. A skilled Philadelphia personal injury lawyer at the law firm of Alva & Shuttleworth, LLC will seek maximum recovery for your losses. If you need a tough lawyer to take on your personal injury case, call an attorney at Alva & Shuttleworth, LLC. Your initial consultation is free and can provide you with the information you need to make critical decisions on your future. Personal injury clients are also not charged a single attorney fee unless a financial recovery is made on their behalf. If you are hurt in an car accident caused by a drunk driver, if you slip and fall at a retail store that was not sufficiently well-maintained, or if you suffer severe medical problems because your doctor failed to act according to the standards of his or her profession, you may have a claim for damages. A Philadelphia personal injury lawyer from our firm can help you fight for that claim and get the compensation you deserve. Our attorneys demonstrate their commitment to find justice in every case they take on. You do not pay a single attorney fee unless your case results in a financial recovery on your behalf. If injured due to negligence, you may seek both economic and non-economic damages. Economic damages are the tangible losses you suffer — hospital bills, doctor's bills, physical therapy bills, lost wages, lost ability to work, etc. Non-economic damages are damages you suffer that are harder to measure, but are nonetheless very real — disfigurement, pain and suffering, loss of life's pleasure or humiliation and embarrassment. It is up to you and your attorney to prove your damages in a personal injury case. In most cases, you will be dealing with an insurance company that covers auto liability for motor vehicle accidents or general liability for premises liability accidents. The insurance company will likely try to offer a settlement. Your personal injury attorney is in the best position to negotiate with the insurance company to make sure you receive the highest possible settlement. Your attorney can fight for the compensation that you need to address your short-term and long-term losses. If the case cannot be resolved before trial with a satisfactory settlement, you need an attorney that is prepared to take the case to trial. An experienced trial lawyer from the law firm of Alva & Shuttleworth, LLC has no fear of dragging insurance companies to court and making them pay for the losses you have sustained. If you are facing any kind of injustice, be it a wrongful criminal accusation or being injured by the negligence of another, a fearless Philadelphia attorney from Alva & Shuttleworth, LLC can fight zealously for your rights. We can serve as your criminal defense lawyer or your personal injury attorney. We apply our principles of aggressive representation to seek the best results for you. 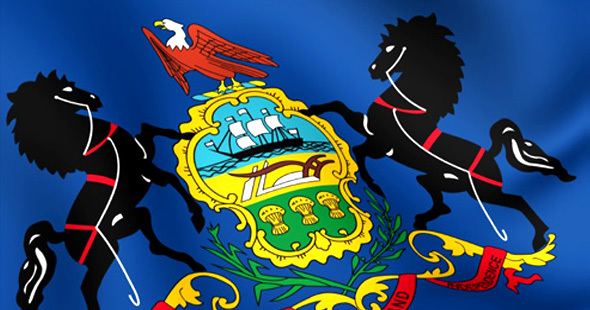 We represent clients throughout the Philadelphia area, including Bucks, Chester, Montgomery and Delaware Counties, as well as Pennsylvania and New Jersey. Call us today at (215) 665-1695 to set up a consultation regarding your criminal or personal injury matters.